Red Bank, NJ Hulafrog | AMF Bowling Co. 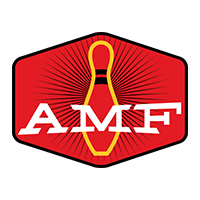 Welcome to the official Facebook Page of the AMF Bowling Co. Check here for news, community events, special programs, and great promotions at our bowling centers across America. If you’ve bowled anywhere, you’ve probably bowled with us. Our centers are spread across the country in communities large and small, providing fun for you, your family, and your friends for more than half a century. Facebook, just like bowling, is all about participation—yours! We encourage you to play, post, and get in on the conversation with your fellow AMF fans and bowling enthusiasts from all over the country. Everyone’s got opinions and we understand that opinions vary. And that’s okay. But we do ask that you be mindful of your posts on this page and respectful of yourself, our centers, and our many devoted Facebook fans. If fans post any content that we find is offensive or derogatory in any manner, we will have to remove the content in accordance with Facebook’s Terms of Service (http://www.facebook.com/terms.php). Fans who habitually post such content may be blocked from our online community. Thanks for becoming a fan—we’ll see you online and on the lanes!